Scattered rains have been lashing the parts of Punjab and Punjab for the past many days. In the last 24 hours from 8:30 am on Saturday, Rohtak in Haryana recorded rain to the tune of 44.6 mm, Chandigarh recorded 7 mm of rain, Gurgaon 3 mm, Karnal 14 mm of rains. 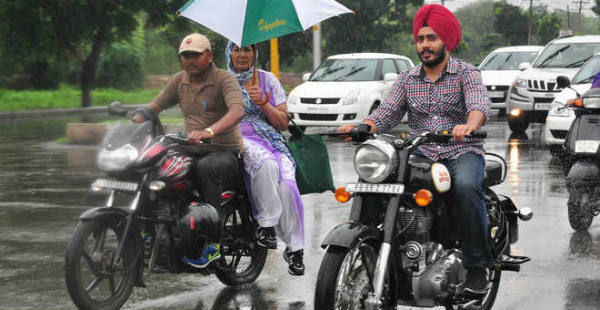 In the same span of time, Anandpur Sahib in Punjab recorded 27 mm of moderate Monsoon rain. As per weathermen at Skymet Weather, a Western Disturbance lies over North Pakistan and adjoining Jammu and Kashmir region. This system would move slowly east-northeastwards. In association with this system, easterly warm and moist winds are prevailing over the states of Punjab, Haryana and adjoining regions. In wake of these combined weather phenomena’s, light to moderate Monsoon rains will affect many districts of Punjab and Haryana during the next 24 hours. In fact, heavy rain at few regions of North Punjab cannot be ruled out. 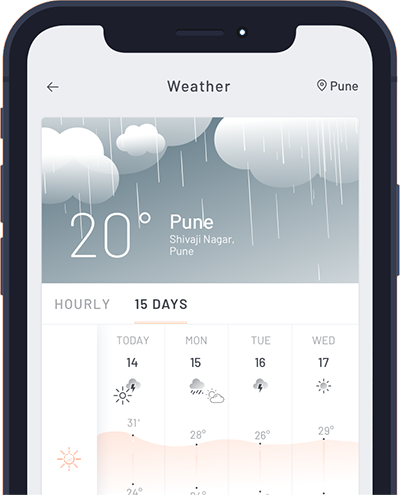 Places like Pathankot, Amritsar, Kapurthala, Hoshiarpur, and Gurdaspur in Punjab are likely to receive moderate to heavy Monsoon rainfall during the next 24 hours. While, Jind, Panipat, Sonipat, Kurukshetra, Ambala, Yamuna Nagar, Narnaul, Faridabad and Palwal in Haryana will observe rainfall activity. After 24 hours, the rain intensity will decrease over both the states.